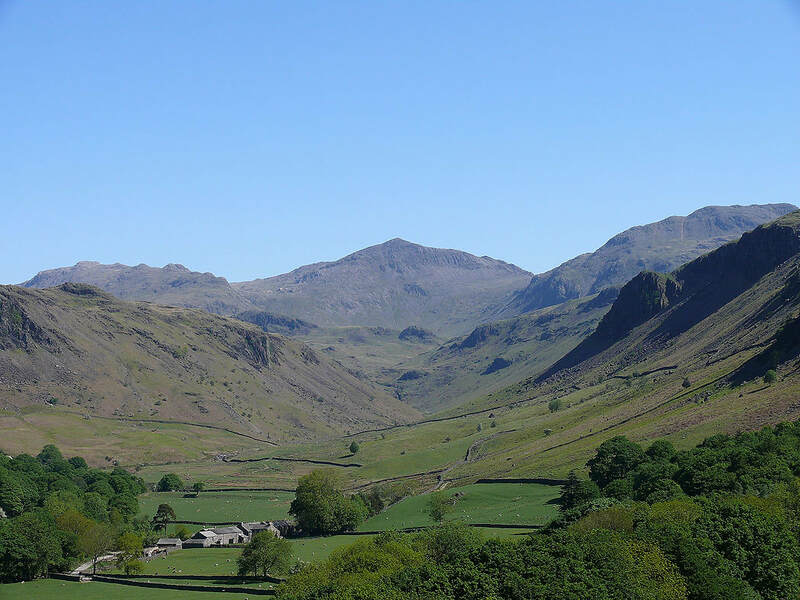 The last day of my stay in the Lakes and another beautiful day. 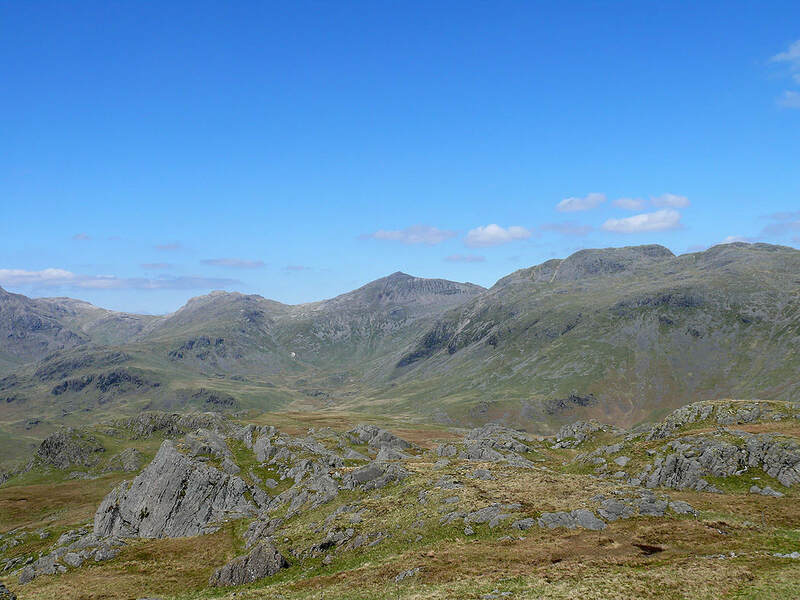 Today I decided to tackle Harter Fell and a new one for me, Hard Knott. 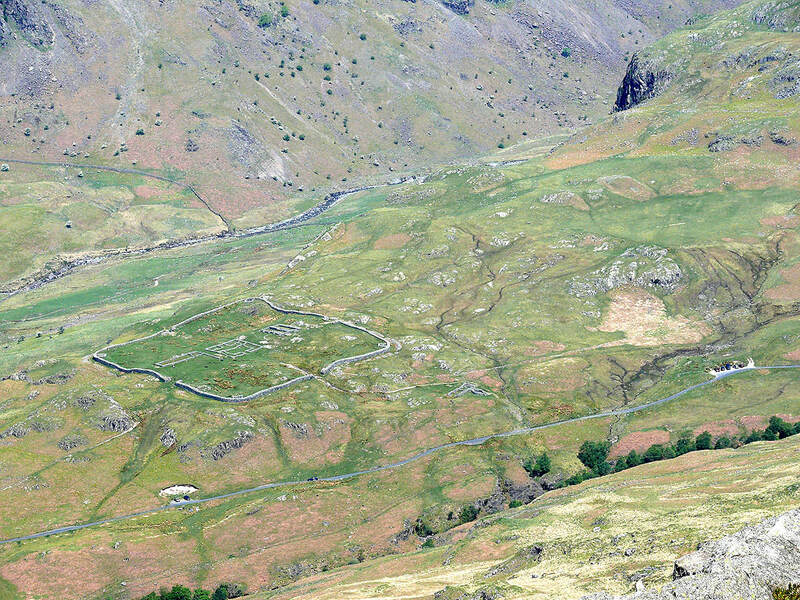 From the car park at Jubilee Bridge at the foot of the Hardknott Pass I took the path around the side of Harter Fell to eventually arrive at its summit. 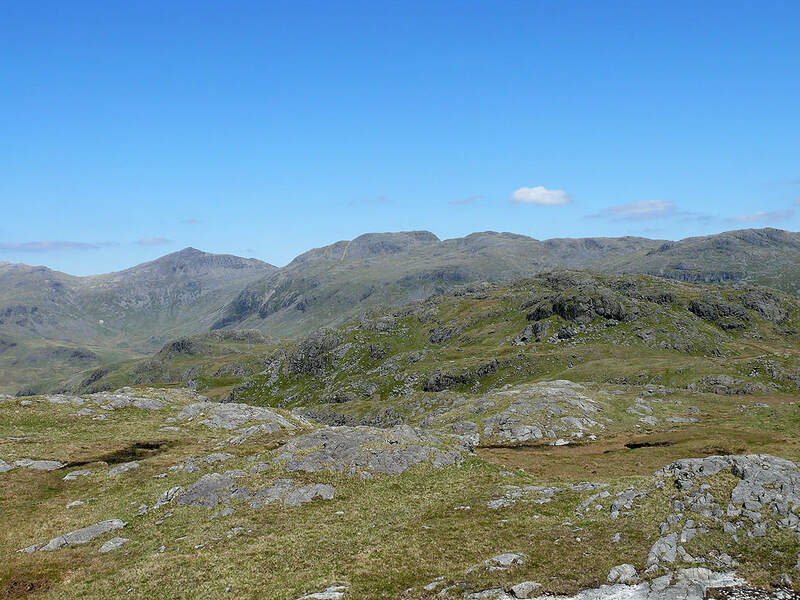 I then made my way down to the Hardknott Pass and then to the summit of Border End. 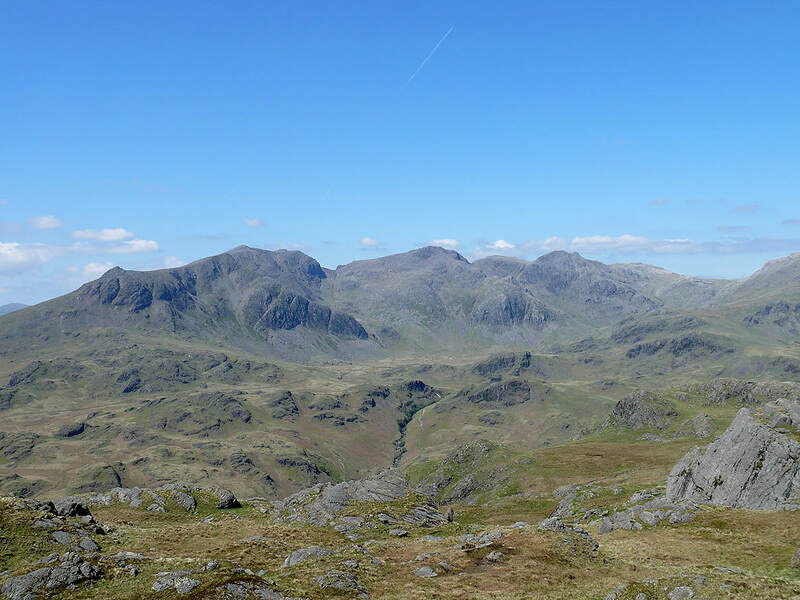 Next stop was the summit of Hard Knott itself. 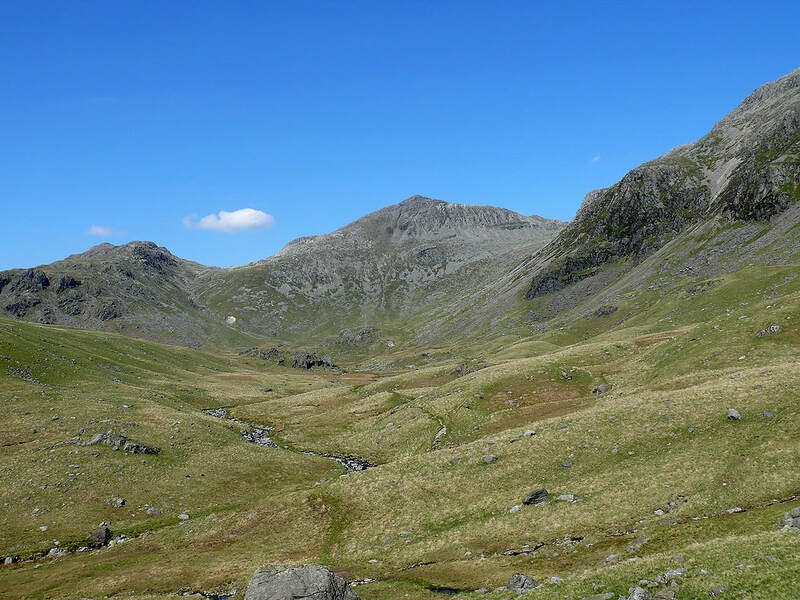 My route back was down the north ridge of Hard Knott to Lingcove Beck and then the walk out down Eskdale. 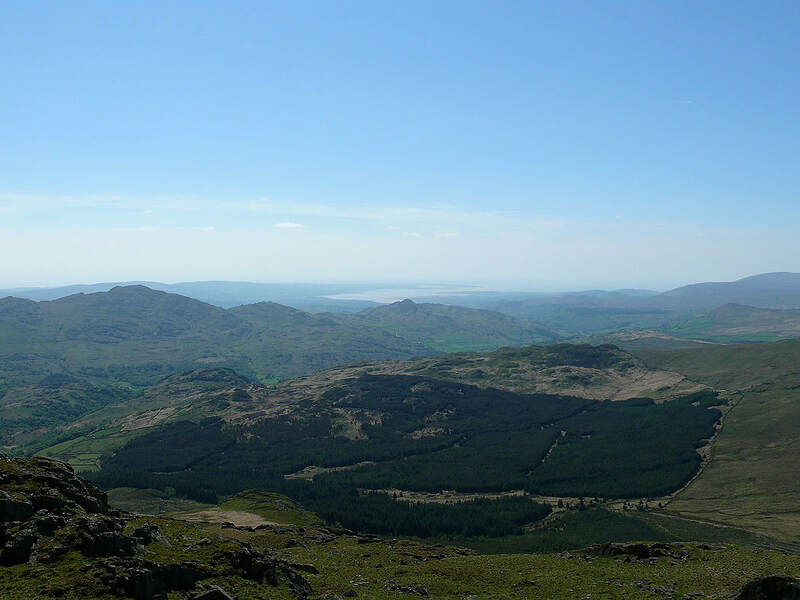 On the summit of Harter Fell. 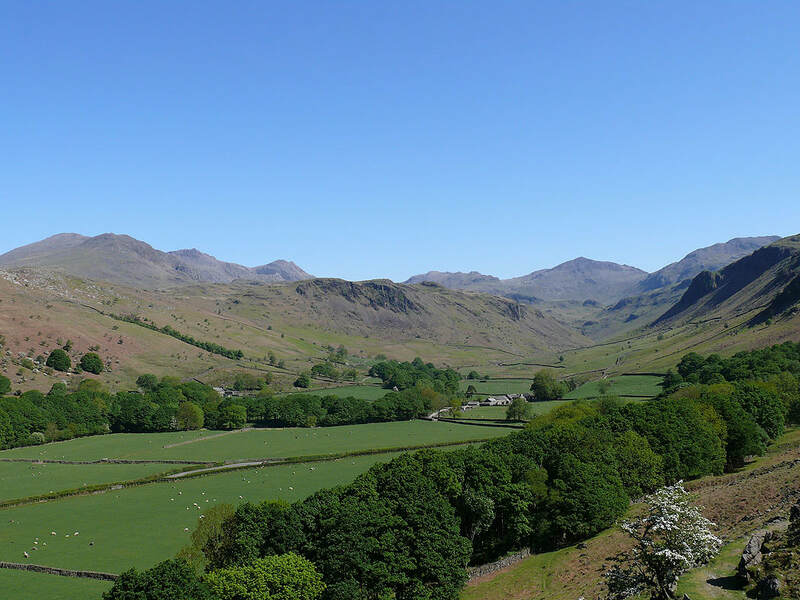 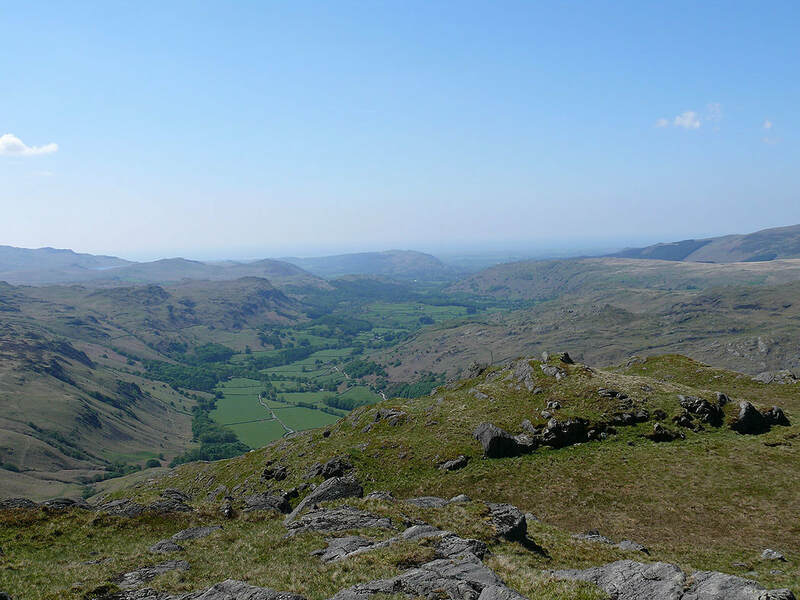 A great place to take in the fells at the head of Eskdale. 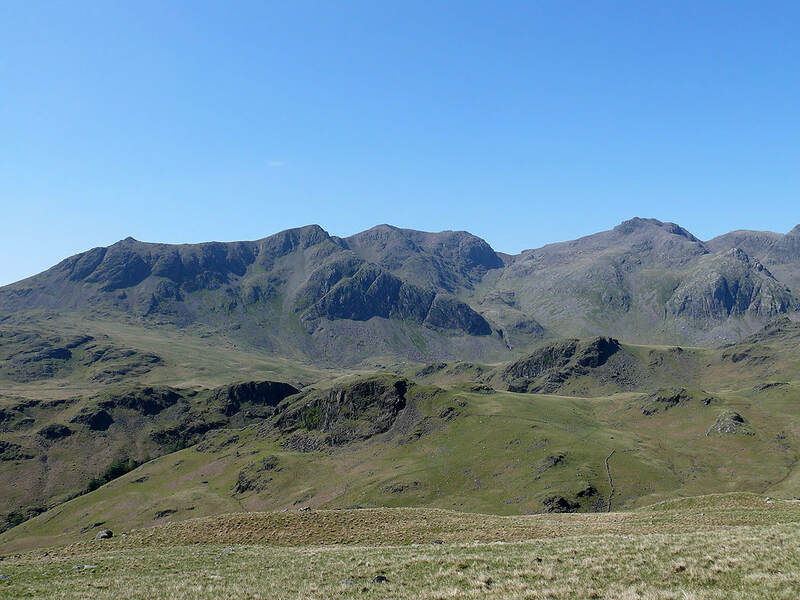 From left to right, Scafell, Scafell Pike, Broad Crag, Ill Crag, Esk Pike, Bowfell and Crinkle Crags. 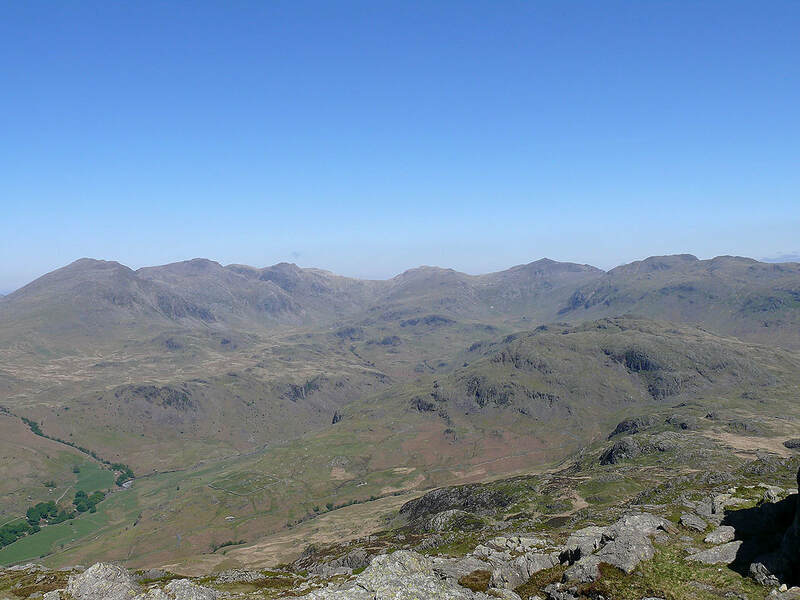 From Harter Fell I made my way down to the Hardknott Pass. 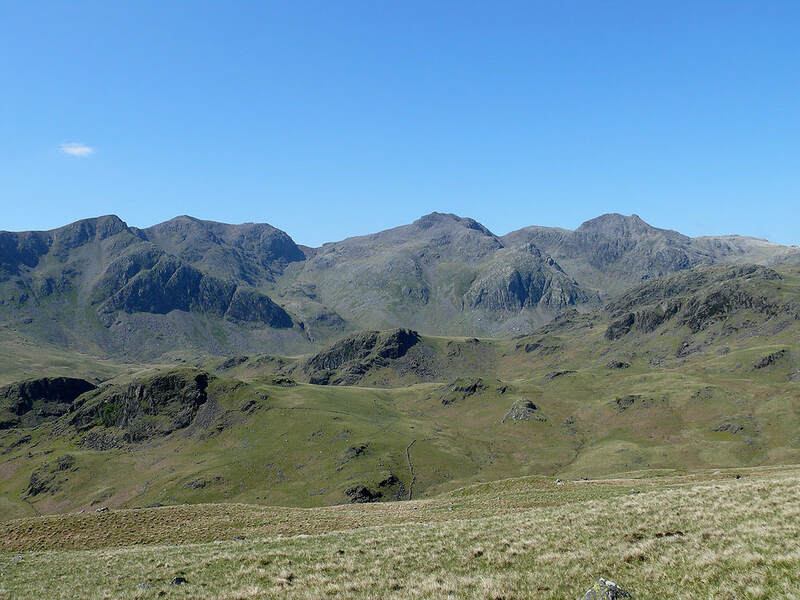 Before heading for the summit of Hard Knott I decided to visit Border End for its views of Eskdale. 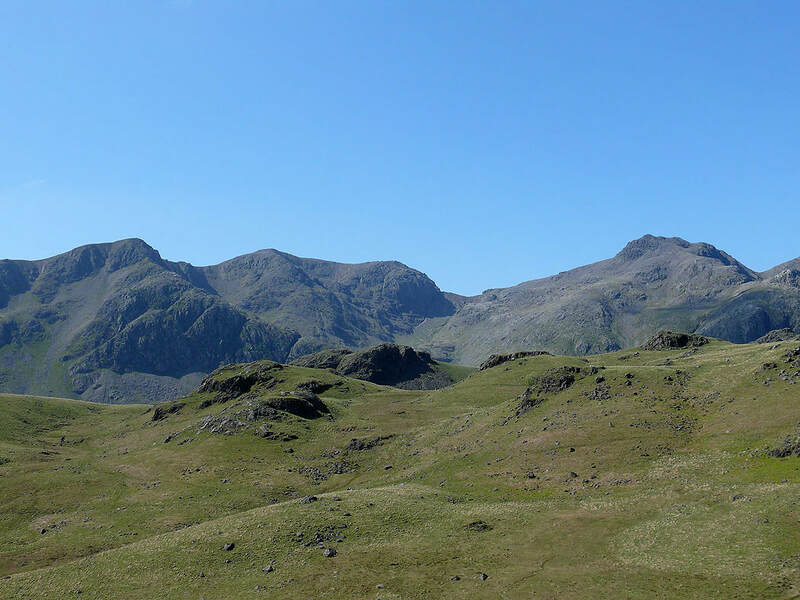 The fells at the head of upper Eskdale from Border End. 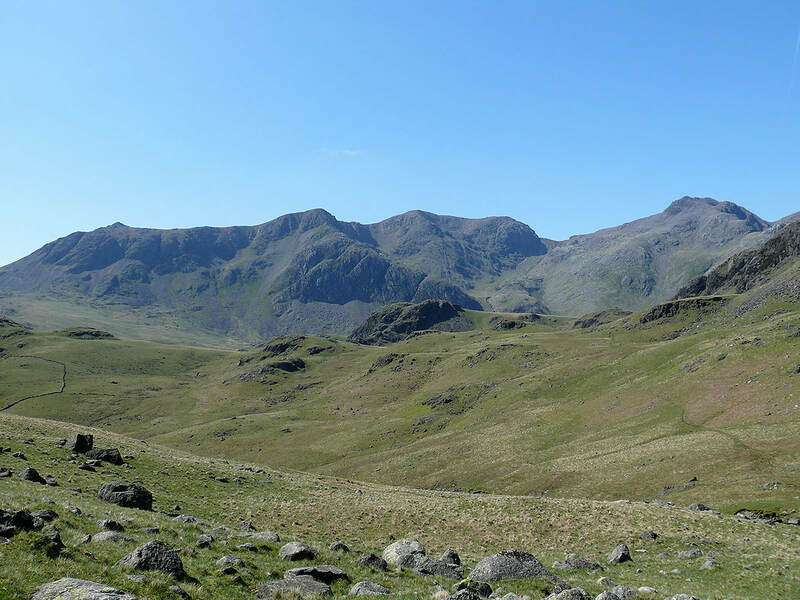 Scafell, Scafell Pike, Broad Crag, Ill Crag and Esk Pike. 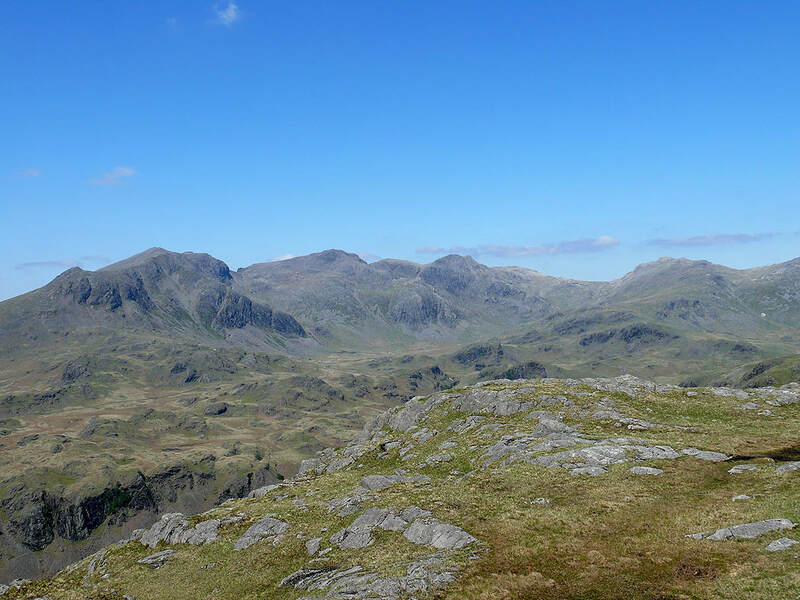 The same great views from the summit of Hard Knott.. 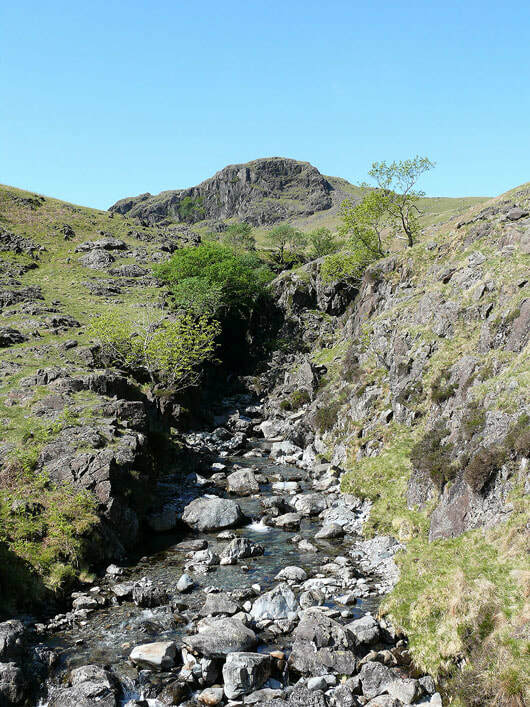 The views of upper Eskdale change subtly as I walk north along the ridge of the fell to Lingcove Beck. 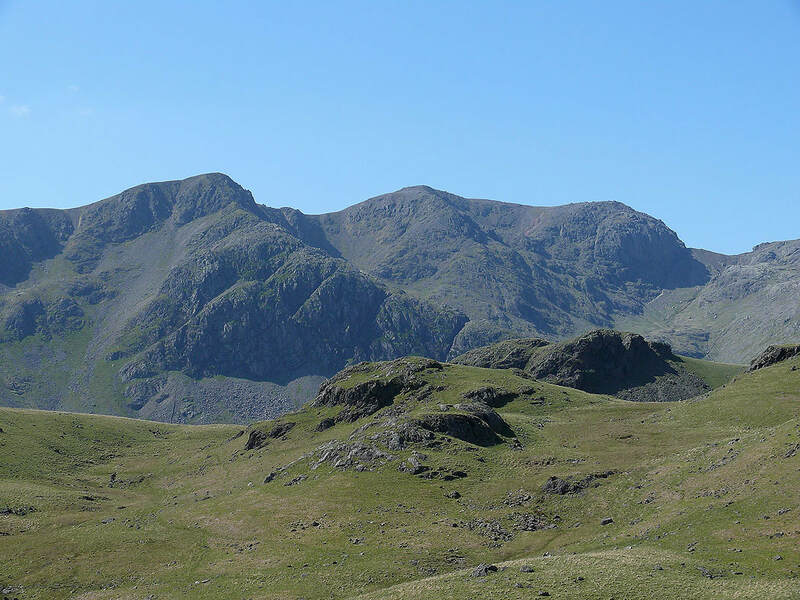 Slight Side, Scafell and Scafell Pike.